It basically means that the My Tracks export to Dailymile capability will stop working with the next version of My Tracks. 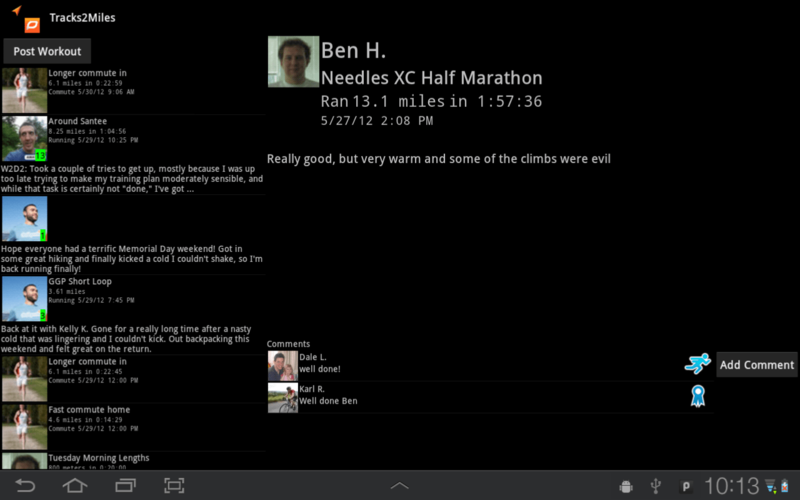 You will still be able to manually post workouts just not with GPS data. I pushed a new update to the market at the weekend. 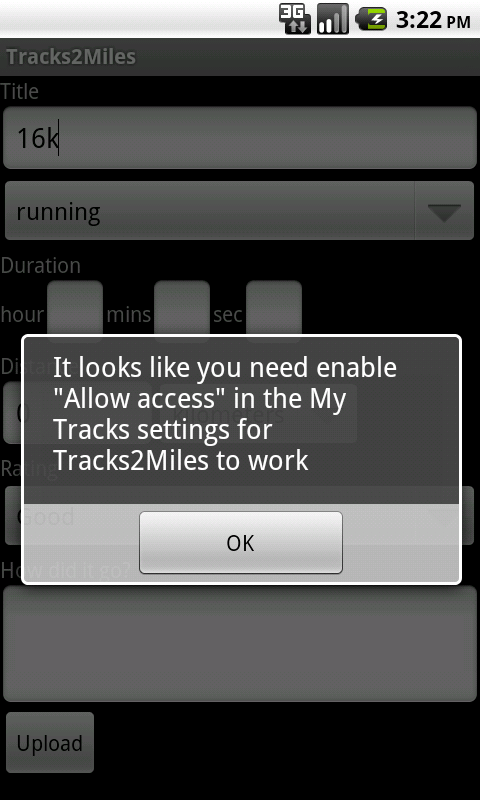 It should hopefully fix a problem where Tracks2Miles would complain it could not access My Tracks data even when sharing was allowed. 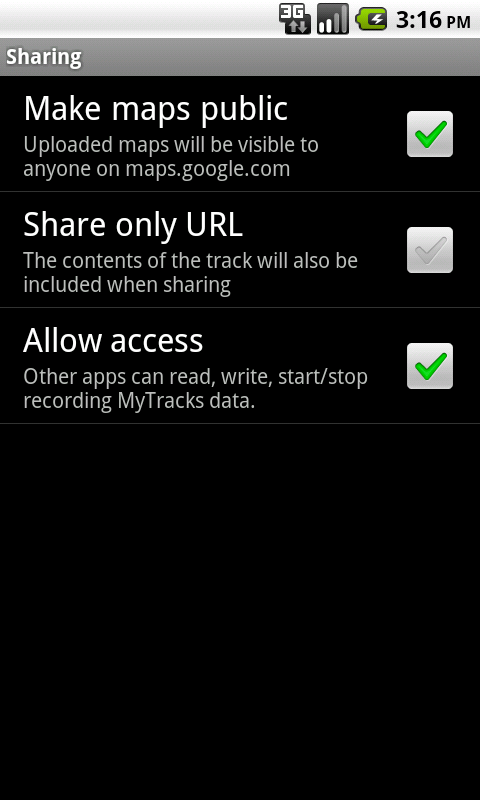 This looks to be down to a change in the My Tracks API with the My Tracks 1.1.15. I’ve also tweaked the “Like” handling a little to only work for posts that are videos or pictures as this seams to be the only type of posts this works. Recently a college has been having a look at the code to see if there are some things he wants to add. Hopefully I should have something from him soon. 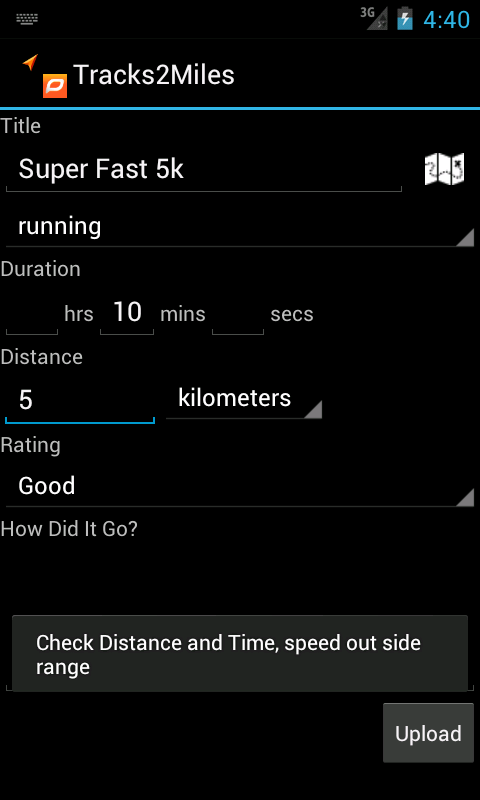 Finally got round to spending some more time on Tracks2Miles. This release is an attempt to make use of a lot of what is left of the API. All that plus a couple of bugs I spotted along the way. 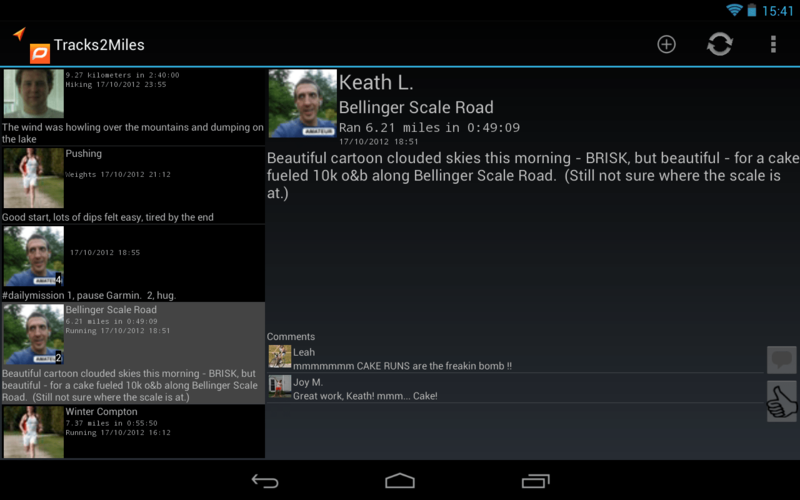 The next version should have better support for tablets and ICS devices that support Activity Fragments to make better use of large screens. I’ve also managed to arrange to borrow a Sony Ericsson X10 mini to see about trying to improve the UI for those of you with really small screen devices.